When it comes to work, Emma's held a surprising number of jobs so let her help you put your best foot forward in your job search. Here's an an easy answer to, what is a merchandiser? Have you ever gone shopping at the supermarket or the drugstore, couldn't find you what you were looking for, noticed someone stocking shelves and asked them to assist you only to have that person look at you sheepishly and say, "I'm sorry, I don't work here." Perplexing, isn't it? Well, guess what? You just ran into a merchandiser. There are all kinds of jobs that fall under the purview of a merchandiser, but the main job is to make sure that the manufacturer's products that you represent are well-stocked and attractively displayed inside the retail store. Usually the merchandiser will have a weekly route and visit the stores they are responsible for servicing at least once a week, but this can fluctuate seasonally depending on what kind of merchandise we are talking about. For instance, I did magazine merchandising for one company and since magazines are delivered once a week, I planned my rounds to arrive at stores within a day or two of the magazine delivery. For another company I merchandised sunglasses at drugstores, so most of the year I only had to visit each store once a month to neaten & dust the displays, refill product and set out new sunglasses that had been shipped, but as summer heated up, I visited each store at least once a week because they naturally sold a lot more sunglasses in the summertime. Other jobs commonly done by merchandisers are product demos, product training for retail staff and re-sets. 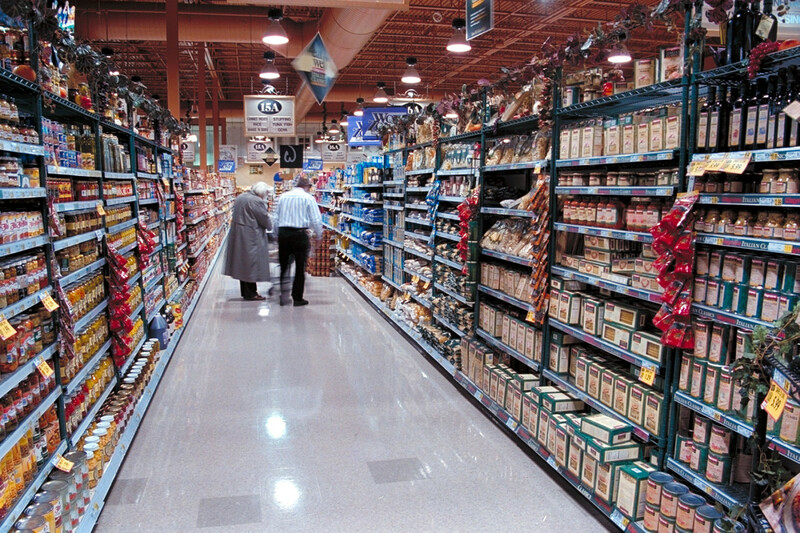 In most cases, anytime you see someone offering food tastings at your local supermarket or Costco, that person actually works for the merchandising company hired by the manufacturer, and not for Costco. For product training, when a manufacturer is doing a big release of a new product such as a new game console (think Xbox, Playstation 3) or a new cellphone, they'll hire a merchandising company to send representatives to stores like Best Buy and Target to give retail staff an introduction to the product, its features and benefits and how best to sell it. That merchandiser will also be on hand to set up display racks, advertising materials and set the merchandise out on the floor. Resets tend to be big projects where all of the current stock comes off the shelf, the display fixtures are removed and broken down, and then replaced by new fixtures and possibly new products or a mixture of old and new products. Since Resets are such big jobs, they are usually done by a team of merchandisers who will tackle one store at a time, slowly rolling out the new displays and merchandise to an entire region over a predefined period of time. If you've ever walked into your local supermarket or one of the big box stores like Best Buy and noticed some stuff has been moved to a different location in the store, they've just had a major reset done. 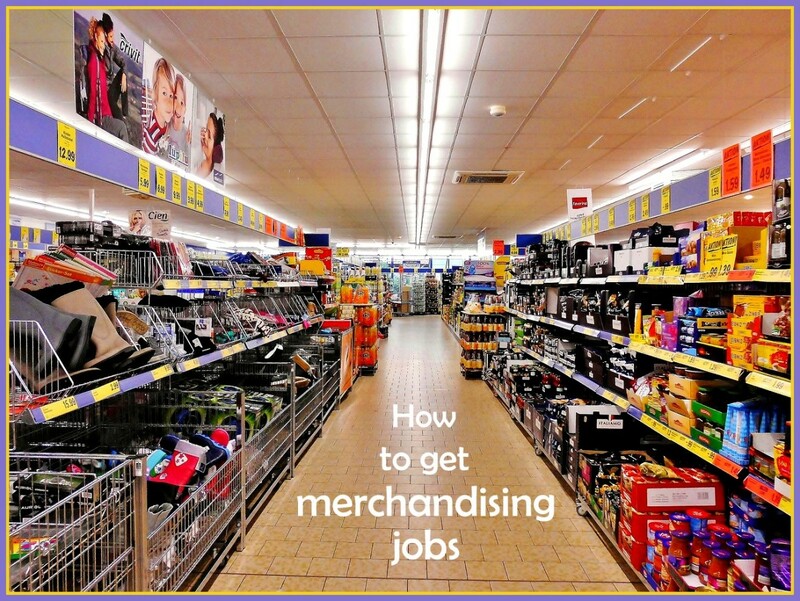 How do you get a job as a merchandiser? The first thing you should do for merchandising work is sign up at the World Alliance for Retail Excellence (formerly NARMS, National Association for Retail Marketing Services). Signing up there for jop opps is free and all the big companies use them to find merchandisers. Also, if you live in a major urban area with a decent presence on Craig's List, that's a good place to find some merchandising work as well, particularly product demo work which can frequently be one-off assignments. While Craigslist can be a great place to find both merchandising and mystery shopping jobs, it is also a scammer's paradise so be wary! Once you create an account, instead of submitting a resume, you just check off what types of job experience you have had -- having some retail experience helps, even if was only working as a cashier 20 years ago. If you don't have much of a retail background, but you have done mystery shopping, be sure to note it in the box where you get to describe your background. Once your profile is completed, you can browse the job bank or you can simply wait for job opportunities to be sent to your profile. My preference is to just wait for them to send me job opps. They should start arriving within a couple of days of registration. They'll get emailed to you as well as sent to your My Jobs page inside your account so you can just log in and take a look at what is available right on your log-in page. Just note that these are job opportunities and not job offers. Some recruiters just send out notices to everyone in a particular region regardless of experience level. Once you see something that interests you, just use the "Reply to this Job" feature and be sure to fill in the comments box. If the recruiters interested, they'll either email you or call you. If you actually get a recruiter on the phone, my experience is that you can almost always talk your way into that job even if you don't have a lot of experience. If you don't have any retail experience at all, it may take you longer to get some job offers, but it is not impossible. In the meantime, try some mystery shopping and then once you've done a couple of shops, log back into your account and add it to your profile. Apply to anything that looks reasonably easy that also says "Urgent". The merchandise companies have to get someone into these stores to service them on a regular basis and Merchandising is just one of those types of jobs where there are a lot of flakes and people tend to come and go. High turnover is to your advantage if you don't have much experience yet. As soon as you've secured your first merchandising job, don't forget to add that experience to your profile. 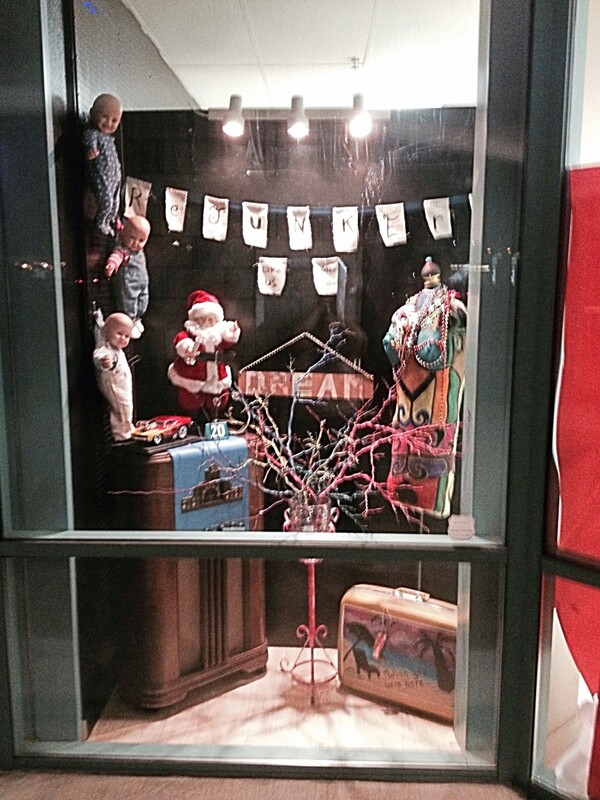 What's it like merchandising for Hallmark Cards? The schedule varies a lot. With the exception of a couple of types of jobs (such as DVD merchandising which must be done the day DVDs are released, i.e. Tuesdays), merchandising allows for a reasonably flexible schedule. For most of the jobs I did, I had to make a weekly visit, but I decided for myself what day I wanted to do the work. 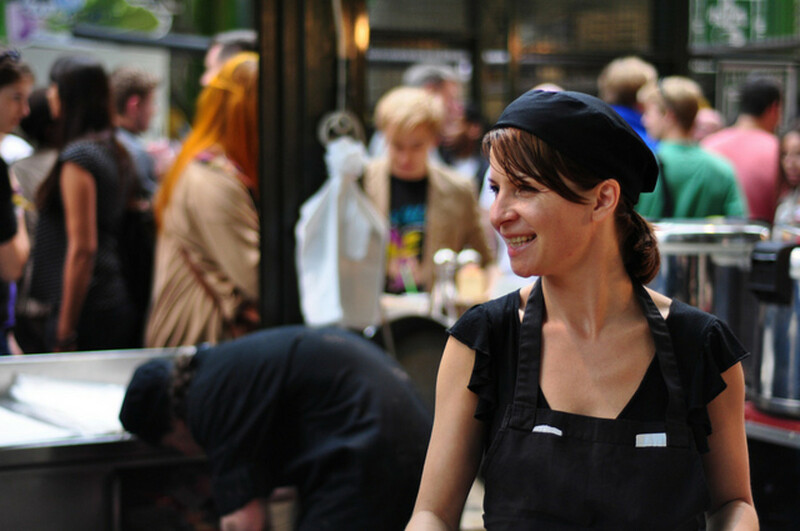 You can work either full time or part time and you'll almost always be an independent contractor. There are some employee opportunities, but most of the jobs are for independent contractors. The one big thing with merchandising jobs is that virtually all of them must be done on weekdays and you have to be finished servicing the store by 3 or 4pm. You are basically in the customer's way the entire time you are servicing the store, so they want you out of there before the store gets too busy. Weekends are definitely out of the question for most merchandising jobs, so if you are looking to work evenings or weekends, you'll probably want to try something else. The one exception is product demonstrations which are usually done on the weekends because in that situation they want you interacting with as many customers as possible. How much money can you make as a merchandiser? The pay for merchandising work varies a lot and some of the biggest companies pay the worst. For example, Hallmark pays barely more than minimum wage for their jobs and I'm pretty sure they don't offer any kind of mileage reimbursement. Oddly, the competition for Hallmark merchandising jobs is huge. 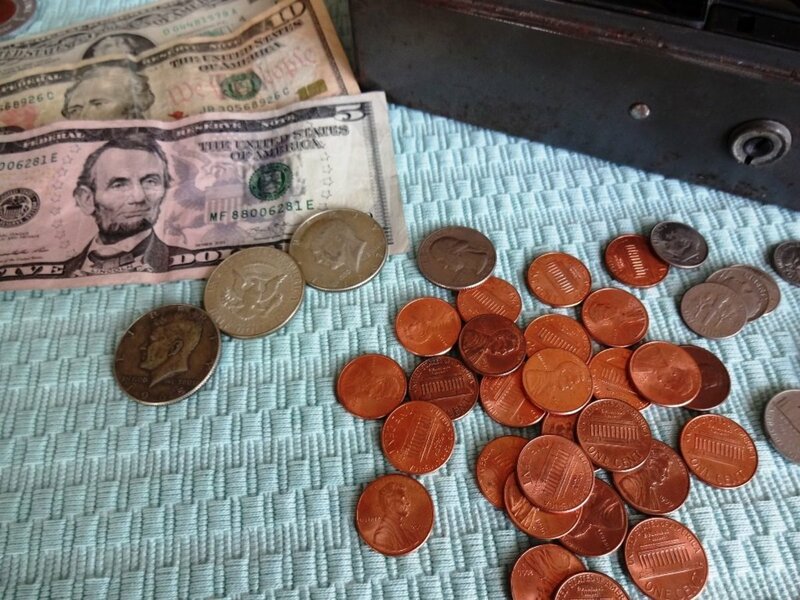 Most companies though will pay anywhere between $8 and $15 an hour and as much as $20 an hour for reset specialists. You'll need to have a decent amount of experience for Reset work, but the jobs are definitely out there. If you stick with this type of work for awhile, there are also supervisory level jobs, although some supervisors have told me that they actually made more money when they were still doing merchandising work directly. Companies also vary on whether they pay a mileage imbursement or not. If you are doing anything more than a couple of of stores near your own neighborhood, I recommend strongly against taking a merchandising job that doesn't offer any kind of mileage imbursement. You will be doing a lot of driving, so don't work for any cheapskates. Mileage reimbursement is handled either by a flat rate or per mile. My personal preference is actually for flat rate reimbursement because then you can combine a few store visits on the same day and if the flat rate imbursement is $5 because the stores are 40 miles from your house, that's $15 in your pocket, but the wear and tear and mileage of only one trip on your car. A couple of things to keep in mind when you are considering what offers to accept. Make sure you understand the time obligations of a particular route before accepting it. You might only be required to visit the stores on your route once a week or twice a month for an hour this month, but that schedule can change depending on the season or whether there are any major resets or changes to the service agreement in the future. For example, I started out servicing magazines for 1.5 hours a week in five different stores, but over the course of five weeks, I needed to visit one store each week for a full 8 hours (broken up into two 4-hr visits) in order to roll-out a Reset. Once the reset was complete, the service time obligation for each store increased to three hours a week, effectively doubling my commitment to that route. As a result, I ended up turning down some other merchandising opportunities because I knew I wouldn't have the time to do them, especially since they were about 40 miles in the opposite direction of my regular route. So before you take a job, ask the recruiter if there are any changes to the schedule to expect in the near future. 2. Pay close attention to the geography of your route. When you first get started, you'll be tempted to take jobs willy-nilly whenever they are offered to you, regardless of where they are located, but you'll work more efficiently if you pick a region and stick to it, that way you can knock off multiple visits each day that you work. So once you commit to your first job, look for other opportunities in the same direction that you'll be traveling. At the same time, think about parking. I live in Boston, but I turned down all jobs in the city because the parking situation is horrible and lots of stores don't even have parking lots. So I worked the 'burbs. 3. Don't be afraid to say no. When you are offered a merchandising job, it'll almost always be for multiple locations, i.e. a route. If the recruiter wants you to visit five stores, but one of them is off the beaten path from the other four, don't be afraid to say no. If they really need someone NOW, they'll let you go ahead and just do the four, and they'll find someone else to cover that fifth store as part of a different route. 4. Try to plan to work the early part of the week. You will often find that you have the entire week to make your store visits, but things happen and you don't want to find yourself on Friday frantic to visit five stores before 3pm. If you need to wait until mechandise is actually delivered, try and plan your arrival the day after the delivery, two days at the most. If you go out to the store on the scheduled delivery day, you may find you've wasted the trip because the truck was late. If you wait too long, you may find yourself spending an hour in the receiving area dodging forklifts while you hunt down the merchandise because the Receiving guys don't remember where they put it two days ago. on the days that you arrive at the store only to find a sales associate has put everything on the shelves already. You get paid anyway. Just make sure they set everything up correctly before you leave. They don't always follow the plan-o-gram. 6. Know what a plan-o-gram is. Every recruiter will ask you if you can follow a plan-o-gram. Just say yes. A Plan-o-gram is fancy merchandising language for a diagram. There will be a plan-o-gram for the display rack and for the merchandise to go on the rack. All you have to do is put things exactly where they are pictured on the plan-o-gram. If you've ever put together Ikea furniture, then you can follow a plan--o-gram. In fact, the plan-o-gram is almost always easier to follow than Ikea instructions and usually the parts fit! 7. Jealously guard your display space. The other part of a merchandisers job is to make sure another company's merchandise doesn't encrouch into your display area. Your company PAYS for that space. Just move all their stuff off your display and ask a sales associate where you can pile it up out of the way. Don't try and track down where it needs to go. They have their own merchandiser for that. If you find out from the store staff that a particular merchandiser hasn't been around in awhile, try and find out what company they work for. If they've flaked, you can probably pick up another job in the same store and that is a very sweet thing. 8. Think about the store environment. Never mind that you don't officially work for them, some retail establishments are just horrible places to have to spend an hour or two. Walmart, for example, tends of have a horrible reputation on Volition.com as having sales staff and managers that are very unfriendly and unhelpful to merchandisers. Target, on the other hand, has a great reputation and merchandising routes that include Target are considered desirable. If you're a woman, you might also want to keep in mind the environment of the receiving area. 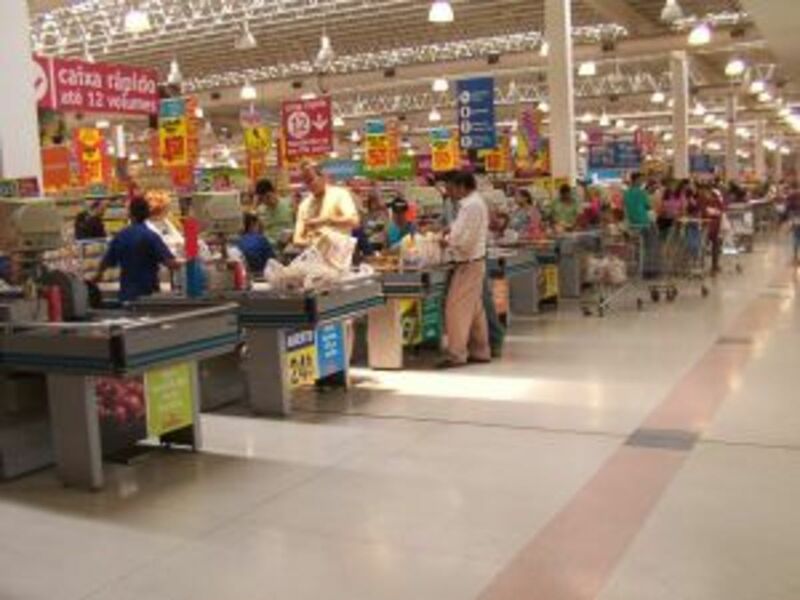 The big box stores tend to have receiving staff that aren't exactly customer-friendly and often times this unfriendliness can extend to you, especially if you are a woman and it is an all-male environment. I had one store on my route that I really disliked visiting because the receiving manager was such a weird jerk, so eventually I dropped that store from my route. It just wasn't worth the aggrevation. 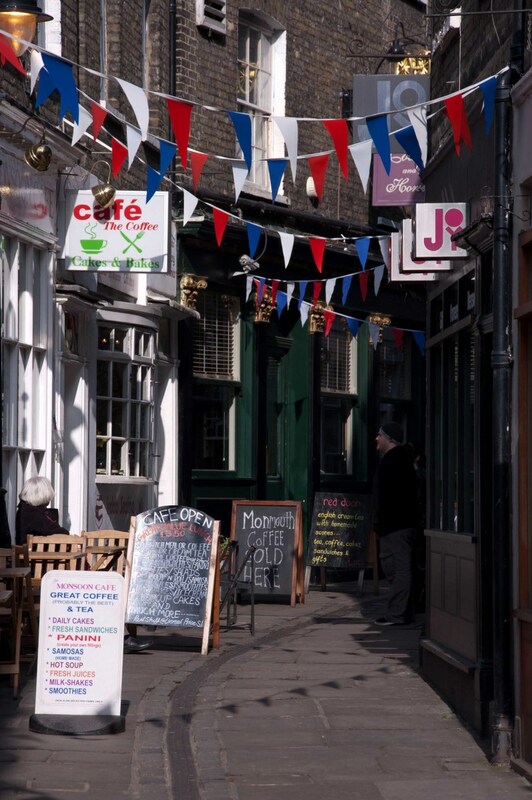 If you don't like the stores you are visiting, give your company some notice and find another route. There are always jobs available and if you don't flake out, you'll maintain your reputation. 9. Be patient with customers. Every time I serviced a store, I'd be asked for assistance by customers at least half a dozen times. If I knew where something was located, I helped them out. If I didn't, I just politely explained that I worked for the manufacturer and told them how to find store staff members. Sometimes funny things will happen. One time I was at Lowes servicing magazines and a customer asked me for help. I politely let him know that I didn't work for Home Depot. He looked at me a moment and then said, "Good thing. This is Lowes." Oops! 10. 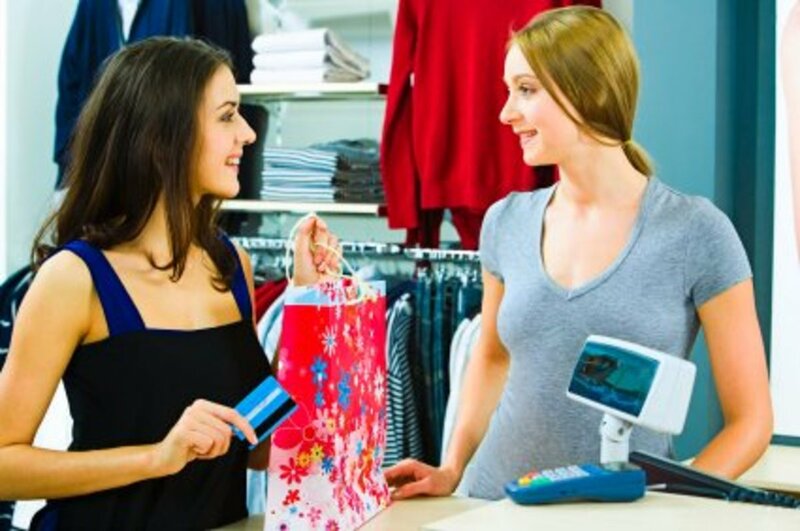 Are you doing Mystery Shopping as well? The only real similarity between Mystery Shopping and Merchandising is the fact that they both take place in retail environments and you are generally an independent contractor. But lots of people do both types of jobs. Just make sure that you NEVER mystery shop a store where you do merchandising work. as far as Hallmark is concern their pay apparently has gone up and you can't do anything for Hallmark without being paid for it. You have to put down ever second you do something for Hallmark. I think they were sued and they pay you for ever second you work even when you are at home reading emails. a big store in the HBC department (minimum wage) and would like to branch out into something like this. My concerns are about being an independent contractor and knowing the ins and out of doing things legally with write offs and stuff. Also I have 200,000 miles on my car which is a real concern and can only afford liability insurance. Any suggestions? I was wondering can you give me a few places that you worked at that you liked and perhaps one that dealt with Target as that would be great. I have an interview with Hallmark which, as it would appear a lot of people are not liking it, but I wanted to gain more experience. I haven't worked in retail since, gosh 15 -20 years now. I'm looking to gain some experience and make money as we have 2 1/2 year old at home that I really would not want to leave all day long and want to be able to be flexable when it comes to her and if we have another child same thing will be true as well. I did check out the NAMS website as well but would appreciate some feedback on places you worked at, that is always the best way to get to know a company. I do have an email if you should want to email me details.. There are merchandising jobs on craigslist from time to time as well. Otherwise, NARMS and Volition are the best! Great info. I have been looking everywhere for this type of information. I know someone who works for some companies that sell products at Costco. For example for one company she sells sheets. It's like doing a demo but she sells things. The money is good--better than most of what I see mentioned here. Would this type of company also use NARMS for hiring? I don't see anything about sales specifically so I wanted to see if NARMS is the route to finding something like this. Thank you. Hey there! I really liked your blog. Very interesting posts on Merchandising. I work for a company called Toolbox Solutions (www.toolboxsolutions.com), and we specialized in Merchandising solutions. I like what you talking about in regards to getting a job in this field, really useful stuff. I will have to make sure I check back again to see your site. My son is 20 years old and in college and would like to get into this line of work. What would be the best avenue for him to take? He doesn't have any retail experience. Maria, that's clearly a SCAM. thanks a lot opnce again!! Any positions open in Loveland, or Fort Collins, CO? YOur article and infor is terrific and I have gone the the recommended sites. Some of them require my ss# and obviously, I am very concerned about this. What are your thoughts? I"ve been thinking about doing this but didn't know anything about how it works. This was great info. If I needed to be gone for three weeks could my family do my job for me? I do merchandising jobs at walmart quite often. I now do a weekly visit and try to get several jobs in the store for that day. At first it was tough trying to track down the right people, they were kind of rude and not too helpful but as they got to see me each week they have become EXTEMELY helpful. I think you need to have a likeable personality as well. As with any place you go, new people aren't always accepted right away. Just be nice and make friends and it will be easy peasy. All I have every wanted to do is play with merchandise (albeit clothes, jewelry, goods, products, you name it) and be paid for it. Thanks for creating a visual exchange of what its like to work in the industry. I feel renewed in landing something as I need a job - preferably and God-willing in this industry. As usual, you give very usable information. Thanks again....and thanks for the NARMS link and information. I was trying to figure out how to go about moving to a new location and finding a new job all at the same time when stumbled upon this hub through google. Looks like an excellent way to keep the income flowing while I get myself situated. Heck, maybe I won't even feel it necessary to find a "regular" job! No, Angie, you can't. You are required to pull the front covers to return to vendor, and then the magazines must be destroyed. I am currently looking for a merchandising job in Sacramento, CA. I found your hub via google and I cannot tell you how much time you have saved me. Thank you so much for your informative and clear article. Fabulous hub! Keep writing! Jody, I personally have not bothered taking them, but I have read on Volition forums that they can make you a bit more desirable to recruiters. Could anyone familiar with Narms tell me if the "classes" they offer for $15 are necessary or worth it? I was looking at a merchandiser job in my area and did a quick google search to get a better idea of what is involved. Your article was amazing and answered most of my questions. Thank you for putting together such great information. I am from the U.K. and started out my career in Merchandising in Pet Products, then moved to Jewellery.The main reason I could move to a prestigious brand is that I have a design led degree. I have work in the jewellery industry for many years, the salary is good, with lots of travel all over the country and I regulary travel to Europe. My duties involve display, bespoke design of window displays and training. With regards to training its all about knowing your product inside out as well as the competition. Not breaking into the industry, but once you enter the industry its easy to move , its about networking. The hub about merchandising totally covers from the beginning,so it's quite easy to understand it.You've discussed everything about it here,thanks for this nice hub. thanks a lot for explaining the job and guiding the newcomers so beautifully and patiently explaining every minute details about the job.i was just looking for all those ionformation when i came across your website and got more than the requied information. bcz i was going to an interview 2 days later after i had read ur article and it gave me so much info as to what to expect in the interview. Where can I find some merchandising jobs? I live in Ft Myers, Florida area? I used to do this for a company when I was in high school. It's easy money, but I could never get enough hours. Mrs X is correct. I to work for the big card company and have for well over 10 years. Our hours have been cut by over half of what we once had and we work our alloted time and leave the job unfinished. We are not allowed to go over hours as our TR and TA will tell you. They have their budget and bosses too. We all work for free to stay and get the job done and Hallmark knows this . It's the only way to do the job. Oh, and the 25 cent raise ends. No one gets a raise now. My TA informed me about 2 months ago. This is a great hub. LOTS of useful information. Thank you! In regards to Mrs X's comments... She DID NOT say she worked for Walmart. She merchandised for a greeting card company at Walmart. Walmart doesn't pay her and she is not an employee of Walmart. I have relatives that work for Walmart and they as well as I are always baffled at the misinformation on Walmart. Mrs X, if you're unhappy with the merchandising company you work for, go to a different company. There are PLENTY of other merchandising jobs out there. Life is too short; some things aren't worth the hassle (or the whining and complaining)! I'm quite perplexed by mrs. x and her experiences with the "major greeting card company" she had worked with. Unfortunately, with other people complaining I must protest these and share MY story. When I started out ten years ago, I was one of three merchandisers for my local Wal-Mart. The atmosphere there was fabulous! The people I worked with were exceptional, the training I received very extensive, my supervisors and Wal-Mart Associates &amp; Managers were top-notch. It's a shame that the ones who are complaining have had bad experiences because of people who didn't know what they were doing. That's just sad. So what if I was given minimum wage in the beginning? The company has always been fair to me and the recompense after all these years is comparable to my experience. I am the Primary Retail Merchandiser for my local store. Big deal if my two week paid vacation is gone - hardly any company does that for PART-TIME EMPLOYEES. Get a grip! If you hang around with bad people who don't know squat, you'll get squat. Company policy dictates that you STAY IN THE STORE to finish your work. Period. If you have to go over your alloted time, tell your supervisor! Someone's just yanking your chain if a "superior" claims otherwise. From my experience and informed opinion, leaving work unfinished is NOT in the best interests of the store! It's also NOT in the best interests of the company you represent; get it done! All TAs and TRs know this fact! If they don't, they're out of a job. Although I have had another merchandising company I represented for the past four years - they're folding after ten years of business (Archco/REPS) - I will have to find other work to supplement my income and I'm glad I was referred to NARMS and Volition.com; I just hope I can get through this rough patch this year and look forward to more merchandising work in my area. This is great information. I signed up for NARMS years ago. My supervisor found my profile on NARMS and after 1 interview, I was offered a position as an actual employee for DSI. I earned $10 an hour, approx 14 hours a week to go through specific grocery stores and scan end caps. Once a week I would do routine out of stock audits. I rarely saw my supervisior, my work was all transmitted at the end of the work day by modem.This was a perfect way for me to earn just enough to cover my bills and be able to spend as much time as possible with my daughter when she was just a baby. Merchandisers are very important. A lot of people don't realise there is an art to merchandising, not just for a single manufacturer bt also when opening a shop of their own. Te don't understand, or at least appreciate, how layout and presentation affects people's tendencies to buy. Thanks. I went to Volition.com and looked on the job board and already have work. Great article. I have had experience with The CF Sauers Company for merchandising. do any of you know any other places to find merchandising jobs beside narms and voilition? This seems to be a very complete article with lots of solid and useful information. I enjoyed reading it and it answered some questions i had about this line of work. Thanks. This is an excellent article on merchandising. I work as a merchandiser, and am often contacted through my profile on NARMS. I have also worked as a product demonstrater. I love having a mix of income streams.I know the greeting card company to which you refer, and I have always felt that the pay was just terrible. I never worked for them. My current job is only two and a half hours a month, but it pays rather well. I also do mystery shops, and write on the internet, and have two part time jobs. I feel like I have it all. To mrs. x I also work for that company that told those of us who have worked for the company for years that the vacation pay would be grandfathered in for those of us who were employed before Jan 2008 then a few weeks later they came back and said vacation pay would be taken away to all employees effective March 31 2008. ay is awful. I had gotten a job notice that offered more money to a new person of the street with no experience over a dollar more an hour than a person that has been with the company for 4 or 5 years. At this rate it will take 3 more years to receive the pay they are offering a new person. I confronted my TA about this and they forwarded it on to the TR the commit back wasthat the job opening was in a different locaion of the state and that the cost of living was more in that area. They also stated that my area of the state was the lowest pay area of the state. Excuse me but hey haven't purchased groceries,paid light bills or purchased fuel lately. This is so sad that a company treat the faithful hardworking employees this way. Not only that but you can only work x amount of hrs and them they have come and cut those hrs back by 8 leaving me no choice but to get another job to go with this one. The only reason I stay is because I love merchandising and I'm good at it. I love the stores I service. The management at the stores are great. We have a great store/ merchandiser relationship. I have taken on project based merchandising jobs to help. I also Mystery shop so when I go to service my stores I can at least get a free meal,etc... There is HOPE!!! outside this company. the work itself is actually easy. you can set your own hours,as long as you work the scheduled days, and get the amount of work done needed. the pay is horrific. they are actually paying new people coming in more than I make, and I've been there 8 years. the company could care less about us. the raises are automated, wether you are a good worker, or lousy, they expect you to quit. i feel that the company should review it's tactics since the turnover should hurt, not help their bottom line. what about contacting the complaint line for this company? maybe this is not done because it puts people's jobs at risk? Thanks for your HUB Embitca! It is full of some good information because I am interested in becoming a merchandiser. I have volition.com saved to my favorites and I've been applying. Do you recommend any of these companies at the volition.com website? I think this might be ideal, Dorsi. I really enjoyed merchandising much more than I did mystery shopping and I personally found that it was better money too, plus it is usually pretty flexible. As long as you get the work done you can usually do it anytime during the week. I always wondered who those people were in the stores! I've been looking for something part-time after we sell our business,and this looks very interesting.I love doing creative work and the independence sounds good.I really don't want to go back to a &quot;regular&quot; job if at all. I've been self employed for so long it would be hard to go back to a corporate environment.Thanks- great informative hub! Hi Mrs X, thanks for sharing your experience. I've heard before that Walmart is horrible. Ugh. As for the phone.... if you are an independent contractor the phone is one of your expenses. You should be writing off the cost of it on your tax returns. If you're an employee though, you probably shouldn't have taken the job if they weren't going to reimburse you. There's TONS of merchandising jobs out there. You don't have to take jobs that require a land line. I have never had to use a landline phone with any of my work and always did my reporting online. And if you aren't happy with the money, you should look for a different job. There is better paying merchandising work out there. I merchandise for the big card company that pays so little. i service wal mart and i am required to be in on certain days preferably by 9 am. we lift on a regular basis some pretty heavy boxes. we are reimbursed for travel over 30 miles round trip and forty minutes round trip. we are not allowed to go over a certain number of hours and should walk out even if the job is is not finished, although it will be waiting for us on our next visit. we get a 25 cent an hour raise each year and that is it. we were getting paid vacation based on hours worked for the year. that was recently taken away as all companies are trying to cut the fat. some fat. they need to be looking at the top. the merchandisers are the butter on the bread, so to speak. if we weren't out there pushing to get the product out it wouldn't be turning a profit and what a profit it turns. we must have a land line phone to transmit information from our telzons but we are not reimbursed anything for having this. a lot of people use cell phones and are giving up home phones. shouldn't we be reimbursed since we are required to use this. the only plus to this job is that it is somewhat flexible but the pay surely stinks and so does the company. NARMS is super! I have been using that site for a couple of years now, and have picked up several projects that are fun and pay very well. I was hired for my merchandising job from my profile on Narms.com shortly after I had my daughter. 9 to 12 hours a week scanning endcaps promotional items and magazine racks for local grocery stores, and about once a week I did an out of stock audit rotating through 9 stores in a 8 week period. It was fun, paid $10 an hour and I had a lot of freedom chosing which days and what hours I worked. thanks for the tips. This was GREAT info for a first timer! I spent hours applying to jobs and posted on NARMS. Thanks for sharing!